The Nightfall Concert Series, produced by Chattanooga Presents, will open its 31st season on Friday with a series of 16 free Friday-night concerts held at Miller Plaza in downtown Chattanooga. Each Friday from May 4-Aug. 31 (with the exception of June 8 and 15 during Riverbend), Nightfall will showcase a broad spectrum of musical genres featuring a local band at 7 p.m., followed by a headline show by a national artist at 8 p.m., many of whom are performing for the first time in Chattanooga. 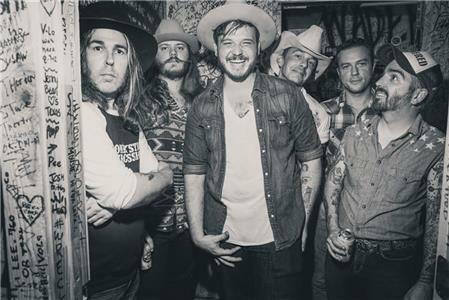 Headlining Nightfall for the season opener Friday will be Vandoliers, a Texas alt-country band whose tour dates have included shows with the Jayhawks, Old 97’s and Reverend Horton Heat. Fronted by vocalist Joshua Fleming, these Dallas-Fort Worth musicians kick up a storm of Western swing, electric blues, roadhouse rock, Tejano, cowboy country and twangy punk, saluting everyone from fellow Texans Bob Willis to ZZ Top in the process. The local band Lenox Hills will open Friday’s show at 7 p.m. This indie rock band, previously known as Walrus, was a finalist this year as well as last year in the Road to Nightfall competition. Lenox Hills is comprised of singer-guitarist Luke Mullin, guitarist Packy Mullin, drummer Kyle Swenson and bassist Kameron Dunn. Nightfall bulk discount beer and wine tickets will again be available this year at each show, offering a 20 percent savings on a packet of 20 beer and wine tickets. Food trucks and non-alcoholic drink concessions are also available on site. No outside food or beverages are allowed to be brought in to Nightfall, therefore coolers are not allowed. Nightfall, recently named as downtown Chattanooga’s favorite event in a survey by River City Company, has been the community’s signature summertime program for the past 30 years. Known for its family-friendly environment as well as being recognized nationally for the quality of its musical programming, Nightfall has an average attendance of between 2,500-3,000 each night, said officials. For more information on this free community concert series, call 265-0771 or visit NightfallChattanooga.com for a complete, interactive website that includes music samples by each headliner, as well as other information for first-time attendees.